Bo’s Flowers delivers the freshest flowers and brightest smiles... with a lovely variety of flowers arriving daily! 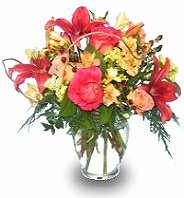 Bo’s Flowers is a local San Francisco, CA florist that has been delivering courteous and professional service, along with the highest quality floral and gift items since 1984. We’re ready to assist you with placing orders for local delivery or anywhere in the world. Not sure what to send? Let us offer some creative suggestions. Wedding & Special Event Flowers ~ With Bo’s Flowers designing the bouquets and arrangements, your wedding is sure to be a “blooming success!” Call us in advance at (415) 252-7553 and schedule a consultation with one of our floral design experts. All Occasion Gift Ideas ~ Browse our assortment of green & blooming plants and dish gardens for a gift that brings life to any room or office. We also offer delicious fruit baskets, gourmet baskets, gift baskets, balloon bouquets, tropicals and more! Thank you for visiting our website... 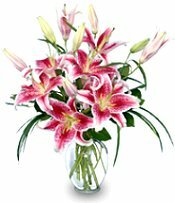 Convenient and secure 24- hr online ordering is available for flowers delivered fresh from your local San Francisco, CA florist – Bo’s Flowers!